Testimonials — Al Brown Co.
Al Brown exemplifies the integrity you would want in a real estate broker. His southern gentility is a gift combined with his easy going professional style. He is a man of plain demeanor, which makes each conversation productive and enjoyable. Al has been around Sea Island real estate for over 30 years and has my highest recommendation. Al Brown represents the finest qualities of a true professional. Over the years I've been involved in enough negotiations to recognize the skills required to produce successful results with high integrity. Al has employed these skills in real estate matters for many years in the Sea Island and St. Simons area, and he has a proven and successful record to show for it. Al has my highest recommendation. I've been at Sea Island for thirty years and have had multiple real estate transactions. Al Brown has always been my first choice to handle any type of real estate issue. Al is one of the finest people I know, and I have always been very happy with his work. I have done real estate business with Al Brown for 30 years. He has helped us find the right houses and gently nudged us away from ones that wouldn’t have worked for us. Nobody knows Sea Island neighborhood properties as well as he does. We’ve known Baba McCaffrey since we started coming to Sea Island and, in 2014, we purchased a condominium in Beach Club Garden North with her assistance. Baba is the complete package. Not only does she focus on properties consistent with your wish list but she also handles all the details surrounding the purchase from inspections to finding the best service providers. She is diligent from the beginning through the end of the transaction and remains a valuable resource thereafter. Baba was aware that we would like to move to an ocean front condo should a nice one come available. In July, 2016 with her help, we were able to do so. Amazingly, within the period of one month, we purchased an ocean front condo, listed and sold our existing unit, and closed on both transactions! "If you're looking for a real estate agent, there are lots to choose from but if you're looking for a true professional who knows the sea island and environs, the real estate market and who will tirelessly represent you, go no further than Baba McCaffrey at Al Brown Company on St. Simons Island. They simply don't get any better than Al Brown! Our family met Al more than 30 years ago and over these years he has exemplified the great American values of honesty, loyalty, hard work and commitment. These qualities have been of utmost importance to our family as we made real estate decisions about where we wanted to spend our time together. Our relationship with Al has resulted in five homes being purchased by family members on Sea Island. We have all appreciated his keen insight into the Sea Island real estate markets as well as his skillful way in helping our family make the right decisions time and time again. But it is Al's graciousness, kindness and friendship that sets Al apart from all the rest. I purchased my Sea Island home in 1995 from Al and have once again entrusted him with the sale of my cottage today. I have bought and sold both residential and commercial real estate in the US and internationally. There is no one I trust more to handle my Sea Island real estate transactions than Al Brown. His word is golden. How many people can you say that about today? We believe our community offers an opportunity to explore one of the most unique and beautiful places in the world. Let us share our insights into the true allure of life in The Golden Isles. 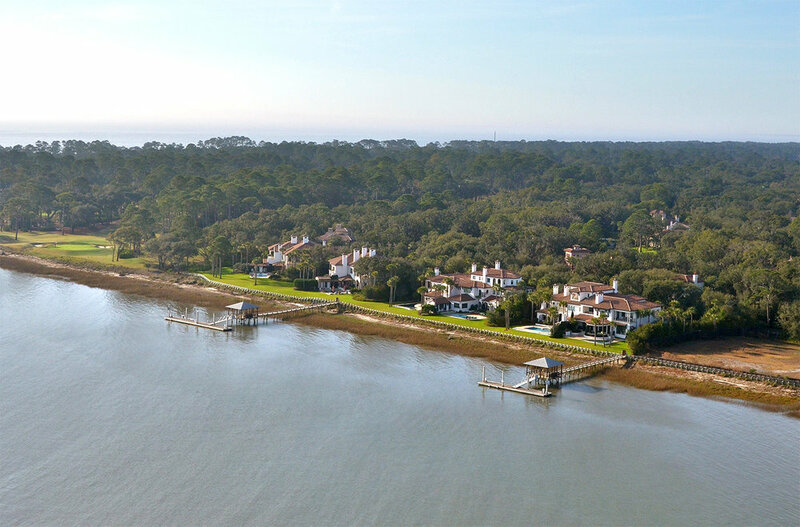 If you’re ready to buy or sell a home, homesite, condominium, or townhome in a Sea Island Club community on Sea Island or St. Simon’s Island, we’re ready to help.